Hi Wayne, just as I thought on entering our cottage – we should have stayed longer. We had such a busy, enjoyable week for the Sirius Anniversary. It was good to meet the local people who truly looked after us and taught us a lot about our Ancestry and your beautiful Island. Our accommodation was excellent and very comfortable and catered for all our needs. Many thanks to you All, Annette & Barry Owens. Ron, Dot Carmody, Jan & Enid wish to express our deep appreciation and thanks for our stay at Ball Bay House, Norfolk. It was a great base for our week’s stay with the stunning scenery, cosy home comforts, space and convenience with a unique style and design which we which we would love to replicate if we ever have to build again. The Ball Bay Home was first class as was the added bonus of the “Spacia” sedan being just right for our family. We give you a 10 out of 10 for the service and accommodation which we found typifies the Norfolk locals with whom we had the pleasure to interact each day. We are back safely and refreshed from our holiday and are daily reconnected with Norfolk as we see can our own three Norfolk Island pines on our beach just 40 metres away. Hope to see you again on a return visit one day. Kind regards from us all and thanks once again for working in with Nancy, our Travel Agent whom we are also thanking. From the meet and greet at the airport to the facilities provide, Wayne Bedford has to be complimented. He has a number of equally well-presented properties in Norfolk Island and is committed to making your stay the best possible. From the small tour and our arrival at the 2brm accommodation, we knew our choice had been good. Everything spotless from the car right down to the BBQ, with a mobile phone available too. Two King size beds, each with ensuites and a terrific covered area for shade to sit at our leisure. Burnt Pine and all areas of Norfolk Island are only a short drive away. We really enjoyed our stay and will look to return for another break thanks to Wayne and the very friendly local people. Contact Wayne for assistance. Everything spotless from the car right down to the BBQ, with a mobile phone available too. Two King size beds, each with ensuites and a terrific covered area for shade to sit at our leisure. Burnt Pine and all areas of Norfolk Island are only a short drive away. We really enjoyed our stay and will look to return for another break thanks to Wayne and the very friendly local people. Wayne, I stole and ate two of the ripe bananas on one of the trees at the back (forgive me but they were so yummy!!). See you in the future, Flight Centre was great in organising this break for us. We just returned from a fortnight on Norfolk Island last Sunday and I just wanted to thank you for your help and let you know what a wonderful time we had. The weather was superb and the snorkelling and swimming were excellent. There were a ton of things to keep us busy but we also had plenty of time to relax. 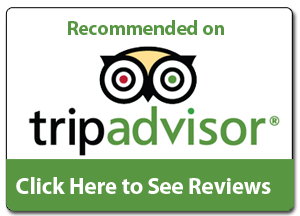 We especially want to let you know how impressed we were with Tau Gardens, where we stayed. The cottage was huge for 3 of us and there was plenty of room to spread out and privacy from the other cottages. Wayne was a most accommodating host, even going so far as to lend us two bicycles!! We even managed to find peaches ready for picking on the trees on the grounds. The cottages were very clean and contained everything we needed, and it was also well supplied with books and games. Hopefully, we will get back there sometime in the future. Thanks very much again. Hello. We recently returned after spending a week on the island and would like to say how much we enjoyed the hospitality and ambience on Norfolk. We especially would like to thank Wayne Bedford for being such a great host and would recommend Anson Bay Lodge to any one contemplating a trip, thank you for arranging our package.